Former U.S. Senate Chaplain Peter Marshall challenged Americans, “May we think of freedom, not as the right to do as we please, but as the opportunity to do what is right.” As we prepare to celebrate the 242nd birthday of the United States of America, the question is, how are we stewarding our freedom? And celebrate we have. But over the years, have we forgotten the most important, self-evident, unalienable right alluded to by Jefferson in the Declaration of Independence and codified by Madison in the U.S. Constitution: the right to religious freedom? We see the best examples of human flourishing today where people enjoy religious freedom, which we believe is foundational for economic freedom and self-government. Unfortunately, our exercise of this inalienable right, as defined by Jefferson, Madison, and America’s founders, is under attack today. There are those who would replace religious freedom with religious tolerance or worse—allow anti-discrimination laws to trump religious freedom completely. Those who should be most uneasy with this development—people of faith—seem unaware or unconcerned. 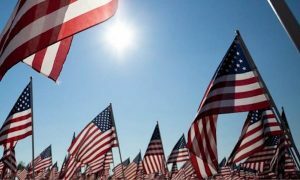 As Os Guinness writes in A Free People’s Suicide, the long-held truth of America’s founders, that “freedom requires virtue, virtue requires faith, and faith requires freedom,” has been lost, even by the faithful. At IFWE, we believe religious, economic, and political freedom form the basis of uniquely American values and are essential to the flourishing we have enjoyed as a nation. Among these freedoms, religious freedom—our “first freedom”—is one of the most important things the American experiment gave the world. Legal scholars throughout American history have believed that the First Amendment of the U.S. Constitution recognized the right to lead a life according to our faith and religious moral code, not only in our churches but also in our homes, our places of work, and in the public square. Yet, in recent years, that belief has been challenged. We view this attack on religious freedom as an alarming development because it threatens to negate the guarantee of individual liberty afforded every person, regardless of their faith. Left unchecked, it will threaten the culture of freedom upon which our system of republican government was founded. Religious freedom provides a strong foundation for limited government because it is the bedrock for all human freedom. Freedom of conscience not only demands but ultimately justifies limited government. Conversely and consequently, limited government requires individual responsibility. Religious freedom necessitates the engagement of the moral responsibility of every person. In a free society, religion is an ally of good government as it forms the moral character of individuals and communities. Today, a culture that exhibits an ever-decreasing sense of individual moral and civic responsibility seems to be pervasive. Religious liberties we took for granted twenty years ago are now being challenged in the courts. Ironically, those who support religious tolerance over religious freedom are proving the subtle danger of this concept by becoming intolerant of and excluding views other than those deemed politically correct in the public square. In recent years, however, I’ve come to think of that day as more than just the birthday of a nation. It also commemorates the only true philosophical revolution in all history. Oh, there have been revolutions before and since ours. But those revolutions simply exchanged one set of rules for another. Ours was a revolution that changed the very concept of government. Let the Fourth of July always be a reminder that here in this land, for the first time, it was decided that man is born with certain God-given rights; that government is only a convenience created and managed by the people, with no powers of its own except those voluntarily granted to it by the people. We sometimes forget that great truth, and we never should. As followers of Jesus Christ, we acknowledge that true freedom can only be found in a relationship in him. As Jesus said in the Book of John, “So if the Son sets you free, you will be free indeed” (John 8:36). We, among all people, should understand the importance of religious freedom, not just for Christians but for everyone, whether at home or work. In our diverse, pluralistic culture, everyone must be free to live out their beliefs in matters of conscience, both in private and in the public square. If we all are not free to do this, none of us are free to do this. The former was the vision of our founding fathers, and we should not allow that vision to be lost. This article is copied with permission from the Institute for Faith, Work & Economics ( www.tifwe.org ). The original article appeared here . IFWE is a Christian research organization committed to advancing biblical and economic principles that help individuals find fulfillment in their work and contribute to a free and flourishing society. Visithttps://tifwe.org/subscribe to subscribe to the free IFWE Daily Blog.